Paris mask is from Gypsy Renaissance's Enchanted Evening mask collection. 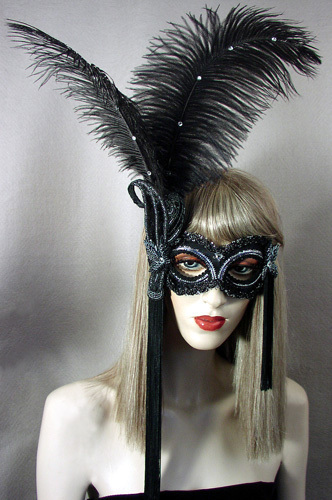 Paris is a handmade black and pewter masquerade mask with ostrich plume adornments. 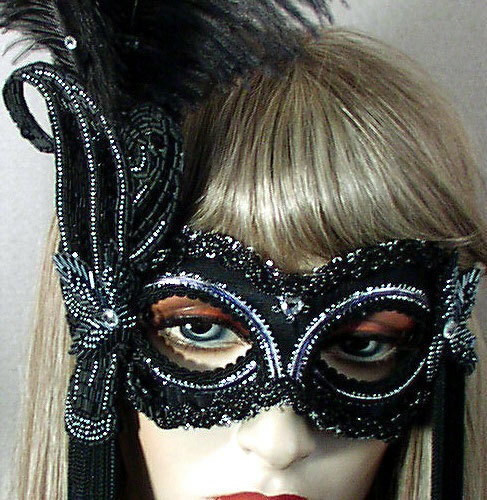 Paris mask is covered with black moiré fabric and trimmed with black and metallic pewter braids and black sequins. Mask is adorned with black and pewter glass beaded appliqués, black ostrich plumes, rhinestones, and black chainette flapper fringe.